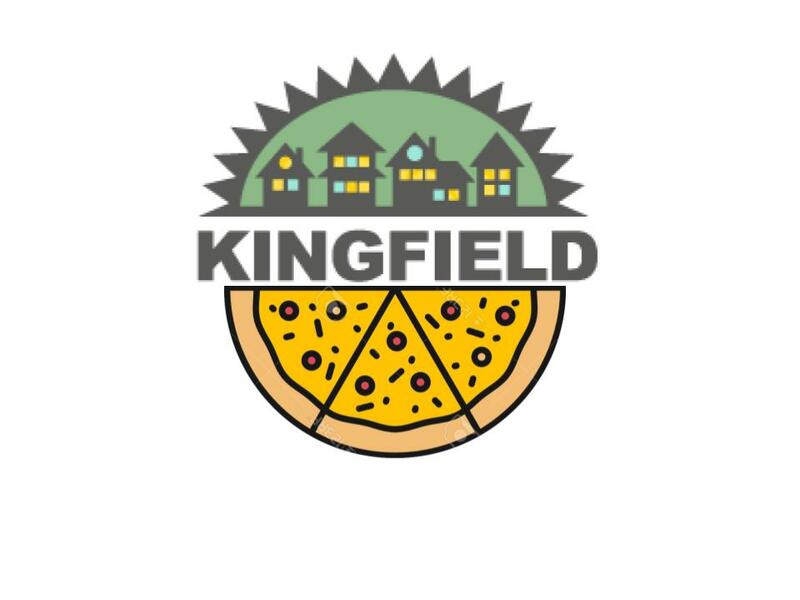 Kingfield PorchFest 2017 is Tonight! 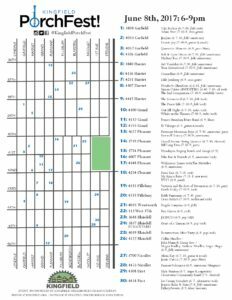 Check out the event map below so you can track your walking path through Kingfield. Remember–all musicians are playing for free, so pack your pockets full of change to tip those talented neighbors! 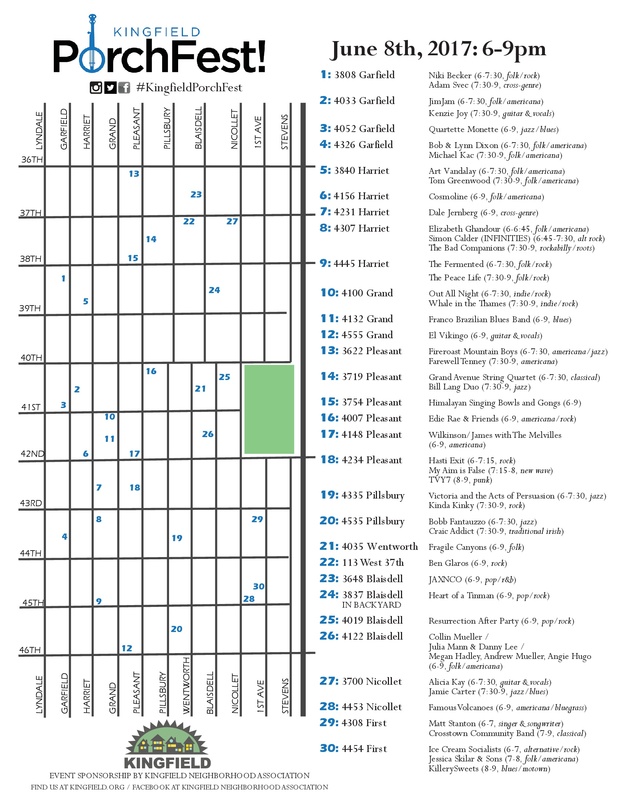 PorchFest is an evening of acoustical music held at multiple outdoor venues throughout Kingfield on a single evening. 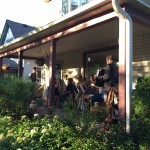 PorchFest is a chance for musicians to share their music with their neighbors and a chance for neighbors to walk the dog, stroll the baby, or pack a cool beverage and meander with their sweetie from home to home enjoying the talent of our amazing neighborhood!